A square shaped pendant hung at an angle with a wire frame Celtic knot filling in the center. 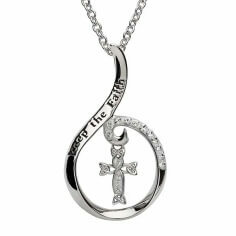 The pendant is topped off with a sparkling Swarovski® crystal. 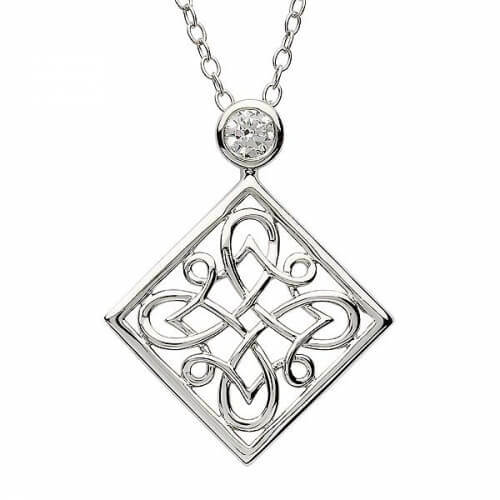 Celebrate your proud Celtic heritage with this elegant Celtic knot pendant. 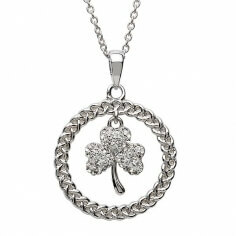 Handcrafted in Ireland by Irish artisans and hallmarked by the Dublin Assay Office.